The Head of European Studies at the University of Ghana, Prof. Yaw Gyampo, believes that Ghana’s celebration of a new public Holiday, known as the Constitution Day today [January 7, 2019], as a public Holiday, is a celebration of “mediocrity”. 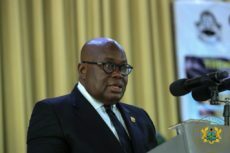 In a Facebook post on Monday expressing his thoughts on the celebration of today [January 7, 2019] as Constitution Day, Prof. Gyampo expressed regret that although the previous government recognizes the challenges of the current constitution including the excessive power it confers on the executive, very little effort has been made to revise it. After several years of analyzing the provisions of the Constitution, I have come to the conclusion albeit debatably that the 1992 Constitution, was formulated to console just one regime that was hesitant in giving in to democratic rule. Consequently, it confers enormous powers to the executive rather than checking or bridling the exercise of same in a manner that in the words of Lord Acton, corrupts,” he said. While suggesting an urgent review and amendment of portions of the constitution to make it match up to the standards of constitutionalism, he said other options such as processes to rewrite a constitution with challenges of the 1992 constitution should be in mind. The party also argues that the public amendment bill will serve as a wrong precedent and a disincentive to education in the country. The Minority in Parliament had said it was mobilizing a broad-based coalition to put pressure on the government to withdraw the Public Holidays Amendment Act. 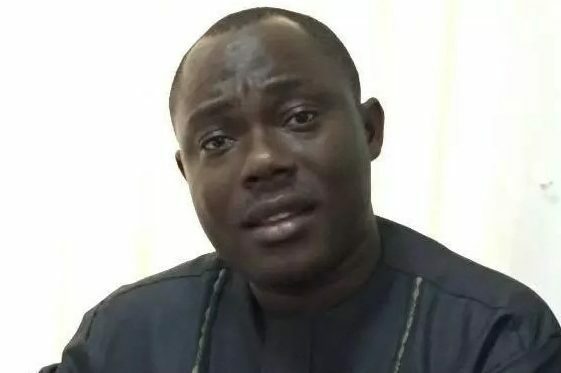 The North Tongu MP, in a Citi News interview with Duke Mensah Opoku said the minority was going to vehemently resist the attempt by government to have the holidays changed. A republic is a nation that rules itself, owes its sovereignty and has its own constitution. The first time we attained this status was in 1960 and since then we have always ruled ourselves even though one key feature of our republican status, ie, the constitution, has been changed for four times. I see some wisdom in the abrogation of the celebration of 1st July as Republic Day and the institution of 7th December as Constitution Day. If the First Constitution that conferred a Republic Status was toppled and jettisoned just after 6 years, why should we celebrate the past when we have a living Constitution that has survived for 27 years and promises to remain even longer.? It is true that the 1992 constitution is the oldest fundamental document of the land in the history of Ghana since independence. But it contains imponderable setbacks to constitutionalism. Any student of Political Theory who has read John Locke, the father of constitutionalism, would appreciate the fact that the 1992 Constitution has provisions that hinder the maturation of our democracy and amount to serious anti thesis to the dogmas of constitutionalism. Constitutionalism can simply be explained in terms of fettering, bridling, or shackling the exercise of power, by those who wield it, particularly the executive arm of government. After several years of analyzing the provisions of the Constitution, I have come to the conclusion albeit debatably that the 1992 Constitution, was formulated to console just one regime that was hesitant in giving in to democratic rule. Consequently, it confers enormous powers to the executive rather than checking or bridling the exercise of same in a manner that in the words of Lord Acton, corrupts. Even though successive regimes have been aware of the real rationale for drafting the 1992 constitution, they have operated it as it is, because of the benefits it confers on the exercise of executive power. Power is indeed sweet.! The Constitution has rendered the legislature and other countervailing authorities toothless and made the executive overly powerful in a manner that upsets the required balance of power expected to exist in a nation that believes in constitutionalism. The mere existence of a Constitution does not necessarily promote constitutionalism and thinkers who appreciate this would quickly review and amend portions of the constitution to bring it at par with the dogmas of constitutionalism. Unfortunately we have only grumbled about the challenges of the constitution. A move to review the document, initiated by Prof Mills seem abandoned. But the best thing to do at the moment is to either implement the recommendations of the Constitutional Review Commission that sought to move the 1992 Constitution from a Political Document to a Development Document that checks the exercise of power, or kickstart a new process of rewriting a new constitution with the challenges of the current one in mind as the sole reason for the initiative. It is a truism that no Constitution anywhere in the world is perfect and devoid of challenges. But ours contain monumental hindrances that cannot be glossed over anywhere in the world, where right-thinking people rule. Therefore, to celebrate the 1992 Constitution in its current form, without efforts to deal with its challenges that hinders our drive towards democratic maturity and attempts to promote constitutionalism, is a celebration of mediocrity, particularly when those involved in this initiative have had the benefits of studying abroad and reading constitutions of other advanced democracies.